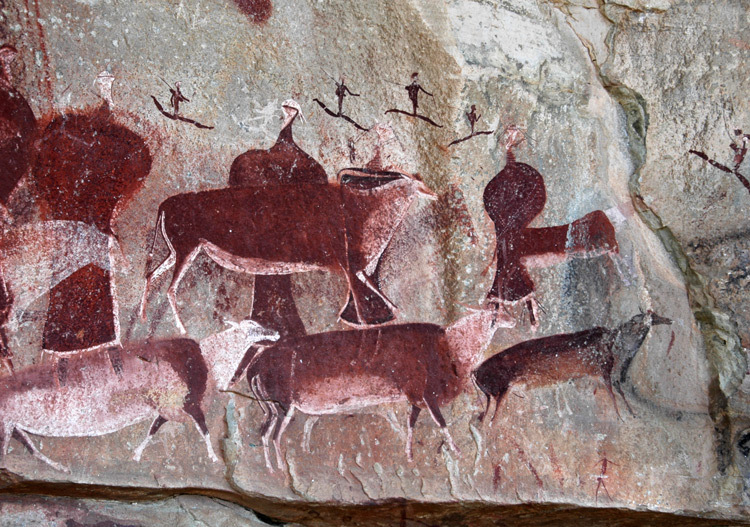 In conjunction with our new iLecture film 'San Rock Art of South Africa' and the Africa Rock Art Archive, the Bradshaw Foundation presents a brief background to the San culture of southern Africa. 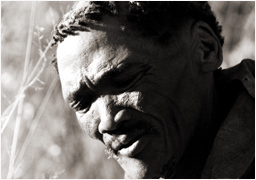 The San, Bushmen, Basarwa, ?Kung or Khwe are indigenous people of southern Africa. 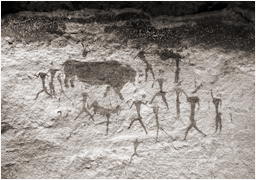 The name 'San' comes from the Khoi word sonqua, meaning 'those without cattle'. 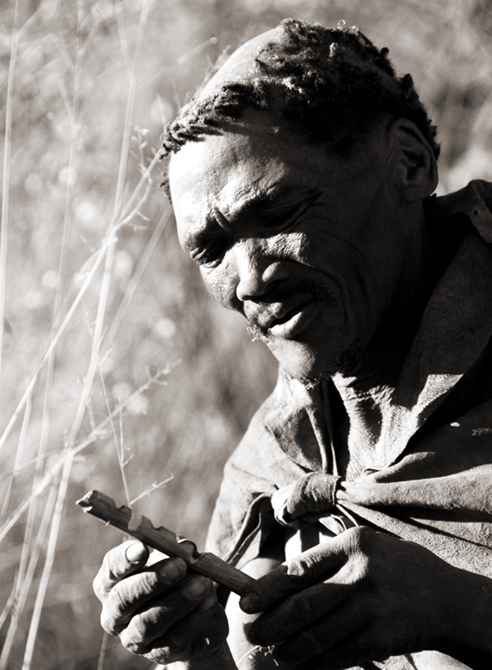 The name ‘bushman’, or in Dutch, Boschjesmans, was first used as early as 1652 by Dutch settlers to describe the hunter-gatherers they met when they first arrived at the Cape. According to Dr Ben Smith, genetic evidence suggests they are one of the oldest, if not the oldest, peoples in the world, going back to perhaps 60,000 years. 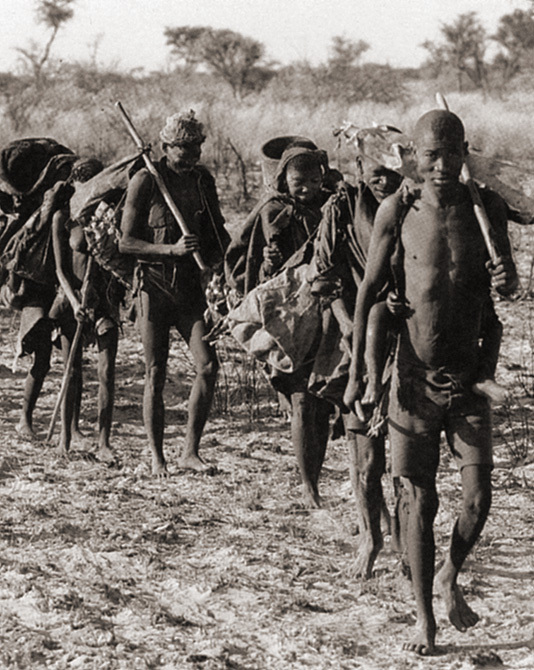 They have genetic traces that no one else in the world has, that put them at the root of the human tree - we are related to them, but they are not as closely related to us. They have unique markers that we don’t have. 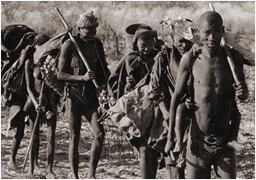 They were traditionally hunter-gatherers, and their kinship / tribe system reflects their interdependence as traditionally small, mobile foraging bands. 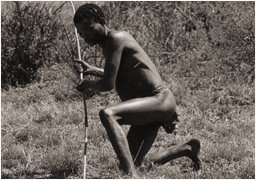 Their gathering gear was simple yet highly effective: a hide sling, blanket, and cloak, called a kaross, to carry foodstuffs, firewood, smaller bags, a digging stick, and perhaps a smaller version of the kaross to carry a baby. Women would gather - fruits, nuts and roots - and men hunted, mainly various kinds of antelope, using poison arrows and spears in days-long excursions. 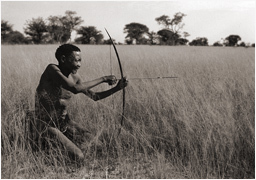 Leisure was very important to the Bushmen. 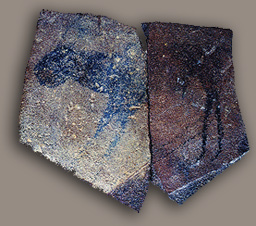 They spent large amounts of time with conversation, music, and sacred dances. They speak a variety of languages, all of which incorporate 'click' sounds represented in writing by symbols such as ! or /. They make their own temporary homes from wood that they gather. 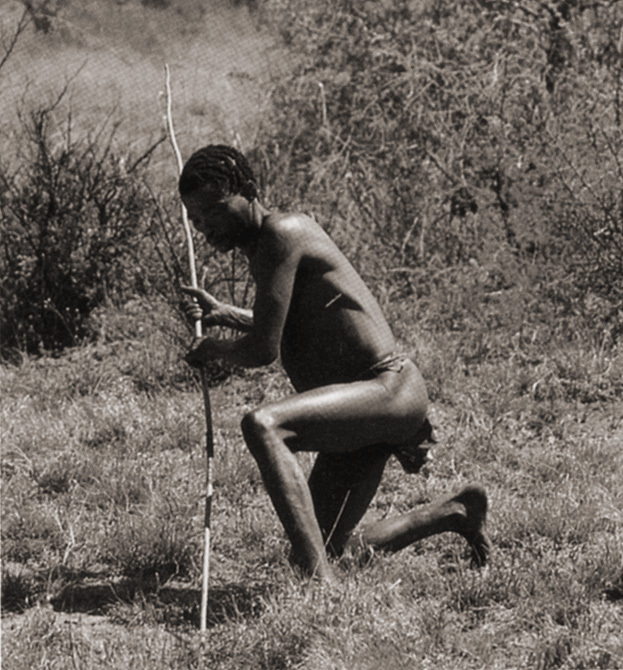 Many Bushmen who have been forced off their lands now live in settlements in areas that are unsuitable for hunting and gathering - they support themselves by growing some food, or by working on ranches. The general features of southern African San art are explained in terms of concepts that pervade the cognitive systems of San people from all areas. 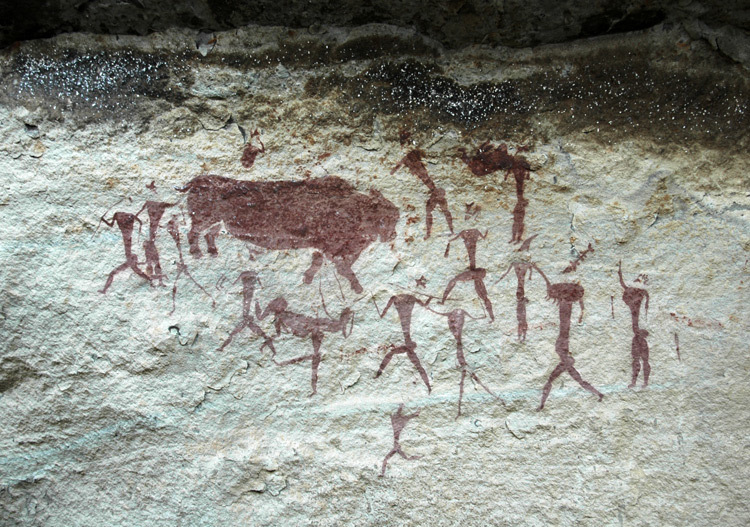 Amongst all San groups the most important ritual is the Great Dance. 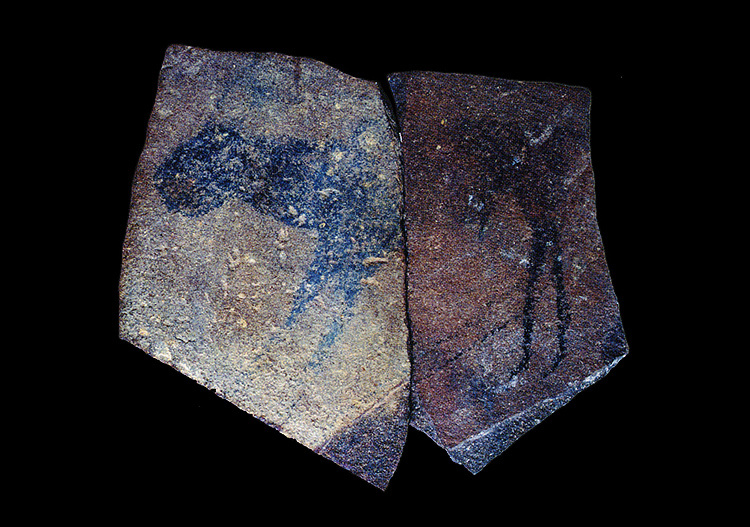 In this dance, through trance, the San say that they harness a kind of spiritual power that is like electricity.